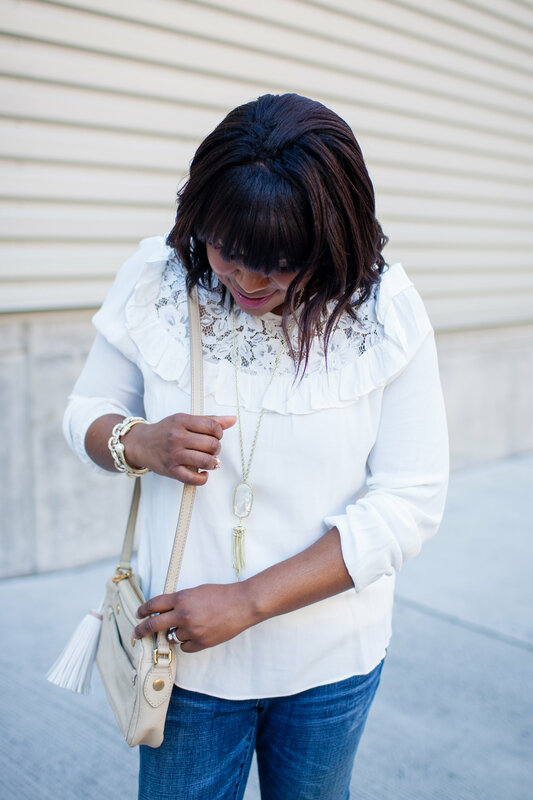 You might have noticed a recurring theme this past month: lace & ruffles. Two of my favorite things. What can I say, I’m a girly-girl through and through. 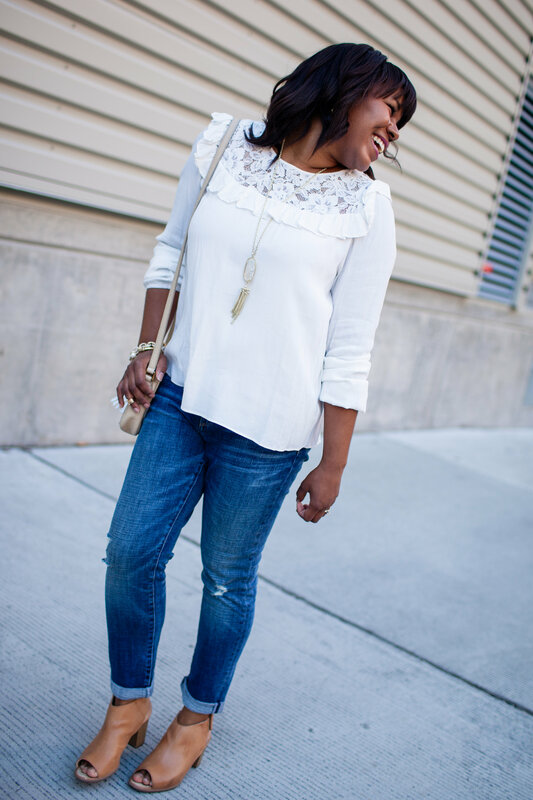 Check out How to Wear Lace In the Fall and Tips For Wearing Lace. Also, in case you missed it, be sure to read The Best Ruffle Sweaters. 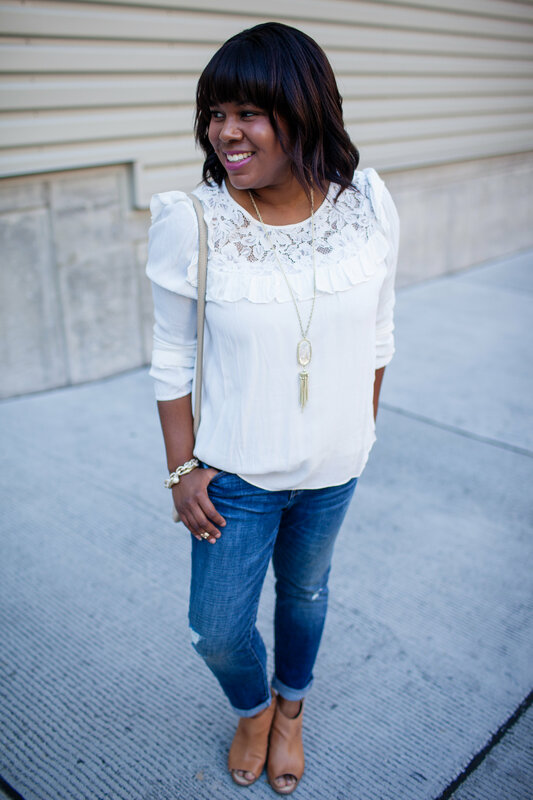 Could this ruffle blouse get any cuter? I scored it during the Nordstrom Anniversary sale. It’s another cute top from BP. They have been killing it lately (although BP has always been good). I like that I can still shop there even though I’m no longer a teen. The quality of their basics is excellent and their jewelry is on-trend. These jeans are super comfortable and I love the wash. They are pretty versatile too. See how I last styled them. This is the first pair that I’ve got from Treasure & Bond. If the rest of their jeans fit as good as this pair, I’ll definitely be picking up some more. I almost forgot to mention the accessories. 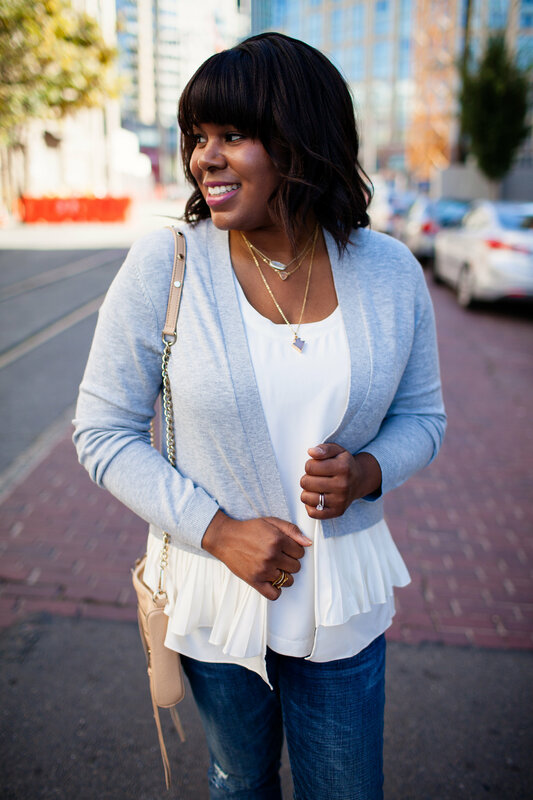 My favorite Kendra Scott necklace is from Rocksbox (get your first month free with code laceandpearlsblogxoxo). 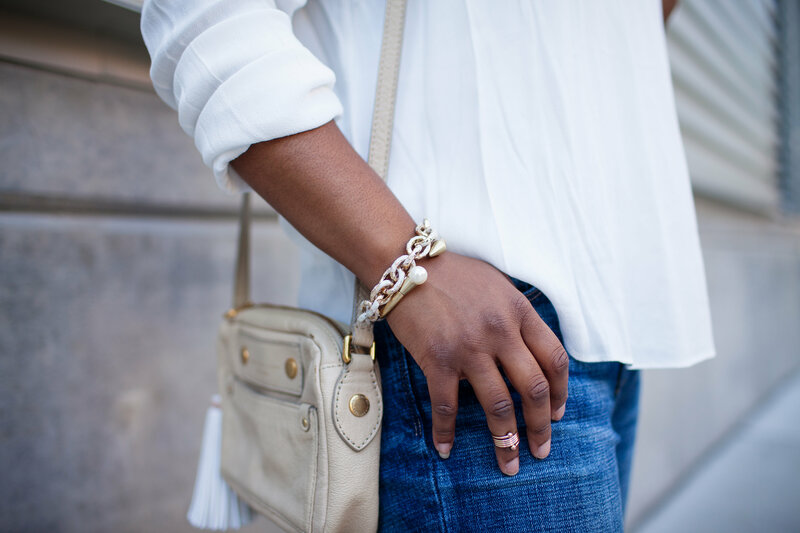 The bracelets (here & here) and midi ring are from Pretty Particular. 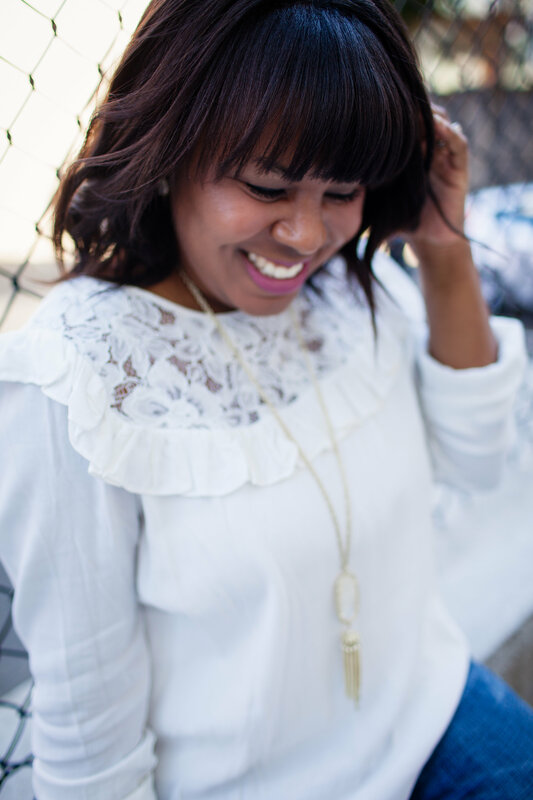 Super cute and affordable jewelry. 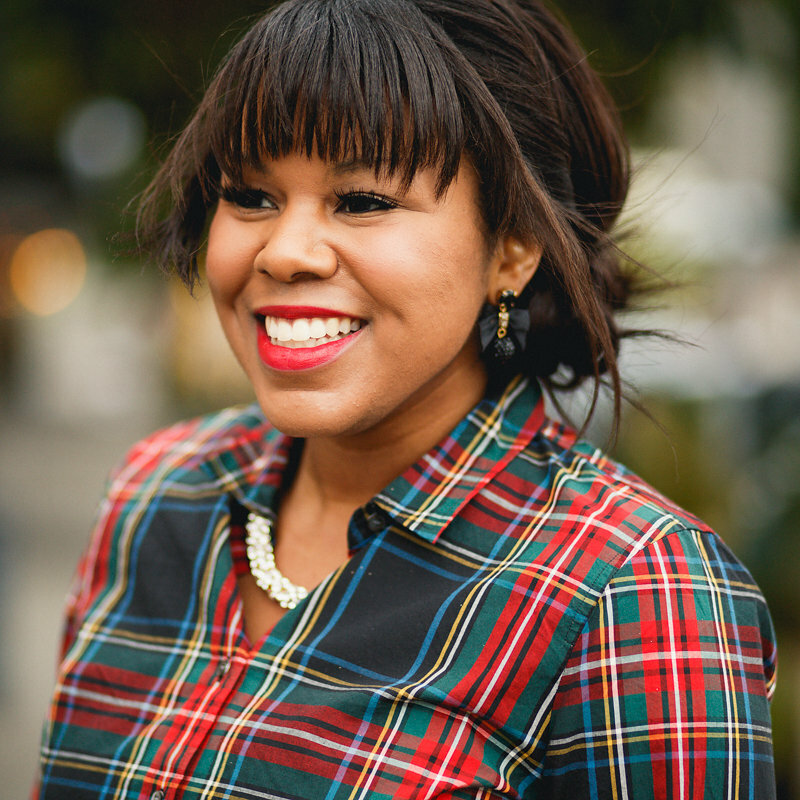 Use code laceandpearls to receive 20% off your order.